Shopping for hotels? You’re in the right place. With millions of reviews from travellers worldwide, we can help you find the ideal hotel, inn or bed & breakfast. And when you’re ready to book, you can now earn cashback on hotels booked directly on the TripAdvisor site by choosing the TripAdvisor price when booking. •	Rewards are only available for hotels on TripAdvisor. There is no rewards given on vacation rentals, flights, attractions or restaurants. •	Rewards will not be approved until 90-120 days after you have completed your stay. •	Bookings must be completed on the TripAdvisor page using the TripAdvisor price, bookings made on partner sites will not be eligible for Rewards. •	Rewards will not be given for cancelled bookings. •	Bookings made in the TripAdvisor app are not currently eligible for Rewards. We therefore force users to mobile web via redirects for all affiliate traffic. 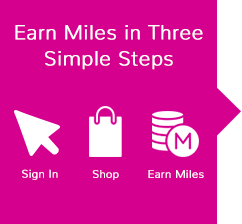 •	Rewards rates are subject to change both up and down. •	The Reward amount excludes VAT, delivery and any other charges.